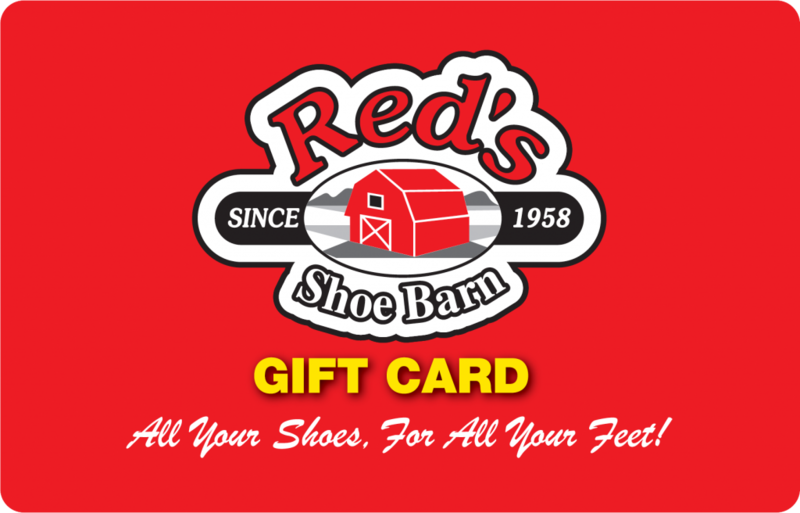 A Gift Card from Red’s Shoe Barn is perfect for any occasion – and the best part is that it’s always the right size! Our gift cards can be ordered in any amount above $5.00. And our gift cards are good in our Dover and Plaistow New Hampshire shoe stores, and can be used for everything we sell. Simply click the button and choose your denomination. will reach their destination in time for Christmas! Join Our Free E-mail Club For Special Offers! Would you like to work at Red’s? We are always accepting applications for future employment. Email us at reds@redsshoebarn.com for an application or come into our store at 35 Broadway in Dover and ask for an application. © 2015 Red’s Shoe Barn. All rights reserved.